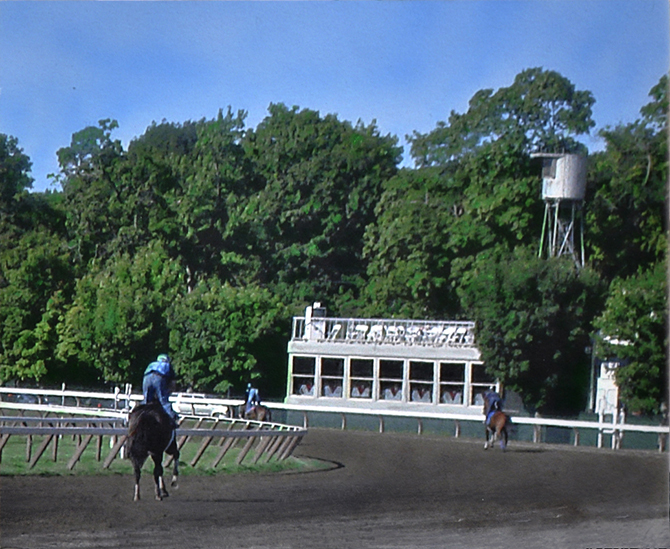 Between races, jockeys trying out the track at Saratoga. I like the isolation of the scene, particuarly as there were literally thousands of attendees behind me, a deafening crowd during the race to say the least. I originally intended this to be a small panel sketch, but decided to amplify it through a finished painting.